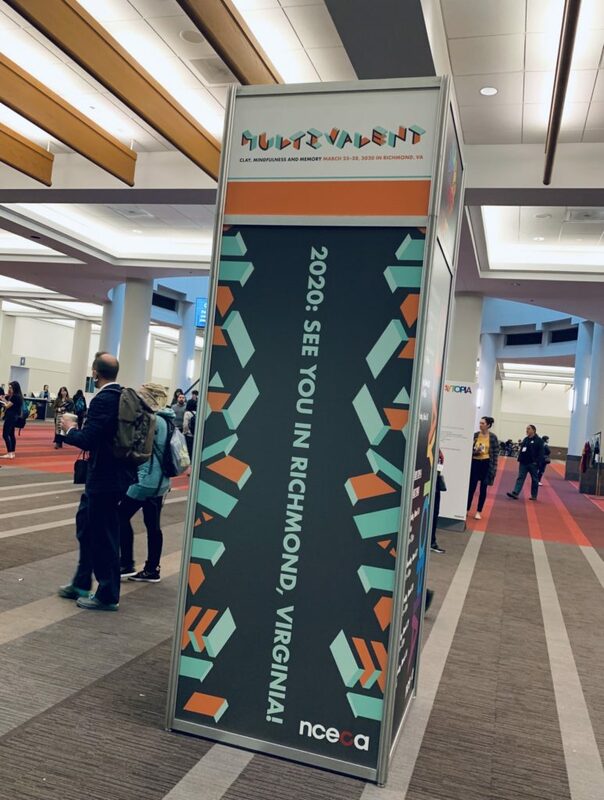 The National Council on Education for the Ceramic Arts (NCECA) will host its 54th annual conference in Richmond, Virginia on March 25-28, 2020 at the Great Richmond Convention Center. The National Council on Education for the Ceramic Arts is a non-profit, membership organization that fosters global education and appreciation for the ceramic arts. The Visual Arts Center of Richmond and VCUarts will serve as co-hosts for the conference. NCECA 2020 will bring thousands of ceramics artists and enthusiasts to the city to attend four days of lectures, demonstrations, exhibitions and more. VisArts and Glave Kocen Gallery will host the 2020 NCECA Annual, “The Burdens of History.” The two venues are within a short distance of one another in one of the city’s most vibrant art communities. VisArts will also host a series of pre-conference workshops led by some of the country’s most preeminent ceramics artists, March 18 through March 22, 2020.